If you are passionate about developing a brand strategy, executing creative ideas and wanting to influence the thinking of the consumer, then you can mull over making your career in the field of advertising. Prahlad Kakar, popular, known as the Ad Guru of the advertising industry and the man who transformed the genre of television advertising in India is of the view that only those should venture into advertising who do not let fear be their master, who have the ability to capture the imagination of target audience within few seconds in the most engaging manner. 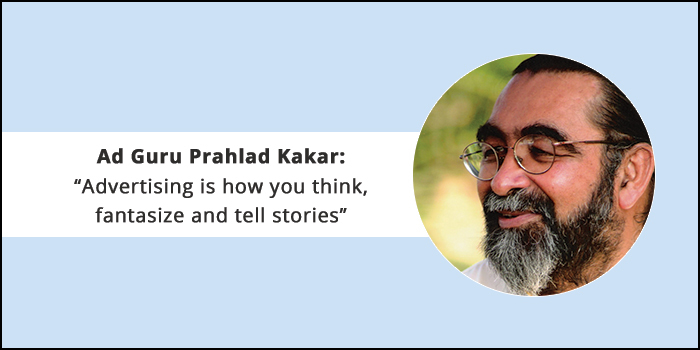 For all those who are thinking of making a career in the field of advertising, Ad Guru Prahlad Kakar states that one should be an original thinker, be able to tell stories to which the audience are able to connect. From qualities that are required to take up a career in advertising, cut throat competitiveness in the corporate world, and employment opportunities, Ad Guru, Prahlad Kakar in an exclusive conversation with Careers360 provides some vital tips to those aspiring to make career in the field of advertising. Careers360: Tell us about the evolution of advertising. Ad Guru Prahlad Kakar: Advertising started off as an insignificant profession for people who dreamt in English and thought they were in England. Today Advertising has come a long way. It is the most important arm of marketing and brand building, and though people think it’s a science, it is not! The stars in this new galaxy are creative people who dream in two languages-English and the vernacular. So they can conduct themselves as English but be rooted to their country and its culture through the vernacular. Careers360: The editorial and the advertising wings happen to be the live-wire entities of every other media organization. They have become supplementary and complementary to each other in the conventional media and today, the ‘new media’ too has made its presence felt. In such a changed scenario, how do you rate the role of advertising? Ad Guru Prahlad Kakar: In such a scenario as mentioned above, the role of advertising has to evolve from standard media which is losing credibility by the day because of its ownership by industrial houses and tycoons who all have a political agenda. So the news is no longer free of bias and with no personal or political agenda of its own. The days of Independent Press are over! So people are more and more reliant on social media to arrive at some degree of what’s going on, because so far it is genuinely independent. I see the future where analytical companies by using artificial intelligence will mind social media, remove misinformation from the information and come out with a tabloid which is highly perceptive of what really is public opinion. This is the future. Careers360: Who should take up advertising as a career? Ad Guru Prahlad Kakar: You have to be an original thinker; you must learn to fail with grace and never give up. You must be scared but not let fear be your master. If you learn how to add value in whatever you do, you will never have to look for money and you will have a great life. And at the end of the day, regardless of how hard you have to work to prove yourself, you will be a happy man. Careers360: In the corporate arena, there is cut throat competitiveness. 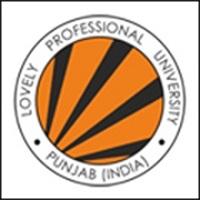 Do you feel that the existing courses prepare the students well to meet the challenges of future? Ad Guru Prahlad Kakar: In the corporate arena, there is cut throat competition and it is difficult for those to get jobs who are mediocre. The existing courses do not prepare students for real life challenges as they do not take an aptitude test of people who will thrive in the profession due to certain qualities. Right now, training in media and advertising courses are pure commercial enterprises regardless of the aptitude of the students pursuing them. Such students pass out with no idea of what they are going to be doing. Careers360: With the advent of ‘Digital India’ in 2015, are new avenues being created for those who are aspiring to take up advertising as a career? Ad Guru Prahlad Kakar: Definitely, but again it requires certain kind of professionals who are willing to break rules, take risks to make a difference in this cyber world. Careers360: Which are the areas in internship with regard to ‘on- the- job training’ do the students get a fair exposure to? Ad Guru Prahlad Kakar: None, because the tenure of on the job training is short. A year long apprenticeship in any media or production house is minimum to find their legs, their direction and their forte. Because only potential entrepreneurial students will do well in advertising and marketing, where they don’t do a job but own it. Careers360: What is the scope for advertising profession in the entertainment industry which is regarded to be one of the fastest growing segments? Ad Guru Prahlad Kakar: It goes hand in glove because without the right kind of publicity and creation of viral information, the entertainment media will never progress without stars and known faces. Careers360: Since the terms ‘Brand’ and ‘Branding’ have become the hallmarks of modern day management, how far have been the students motivated to conceptualise novel modes to accomplish it? Ad Guru Prahlad Kakar: They are not motivated because branding has no place in the sun unless they understand how to strengthen the value of the brand and its potential it is capable of. Because a brand is nothing but a total of what is stands for, which is trust. Careers360: In short, from the national as well as the global perspectives, how do you rate advertising as career? Ad Guru Prahlad Kakar: Fabulous if you are good at it, are an original thinker and a risk taker. Useless if you are looking for a job and security! The motto has always been and will always be, “you are how you think, how you fantasize and how you tell stories.